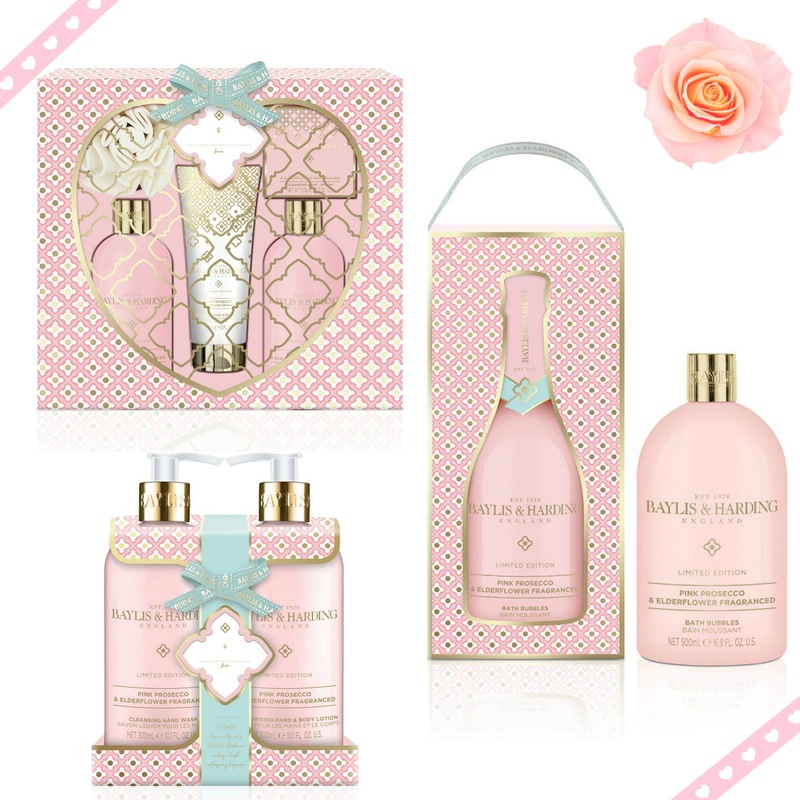 The Pink Fizz and Elderflower collection comes in the most beautiful packaging. The pale pink and gold detail is really pretty and has a Moroccan print. It's very eye-catching and stands out as a nice gift choice just on the packaging alone. I love the smell of the Pink Fizz and hints of Elderflower. It smells so fresh and clean and definitely perfect for Spring and Summer seasons. The Pink Prosecco and Elderflower Bubble Bath comes in a Prosecco bottle style packaging and is 500ml. I love this size. When I have a nice bubble bath I want lots and lots of bubbles so it's perfect. I was so glad to see a Pink Fizz and Elderflower Hand Soap in the collection as we use Baylis hand soap already and find it lasts a long time even as a family of four and as always smells so good. Would be perfect to team this up with the bubble bath as a gift choice. The gift set is so well presented. 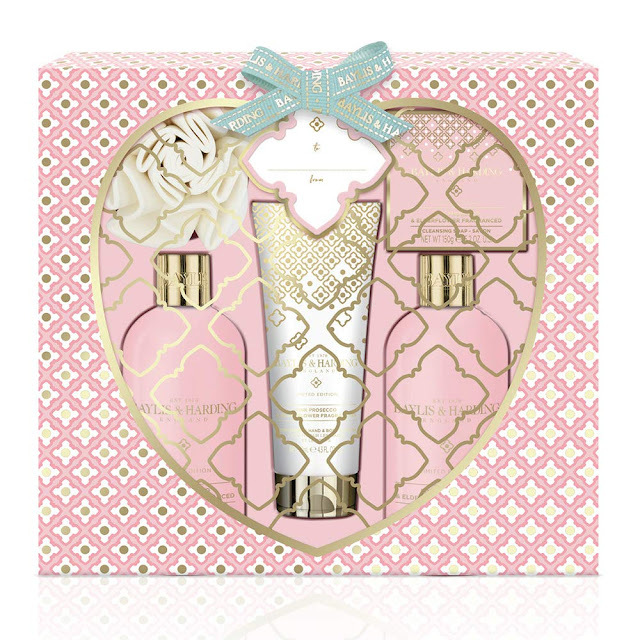 It is just so pretty and contains everything you need for a Valentines pamper. This is just a small glimpse of what is available in the Pink Fizz and Elderflower collection. 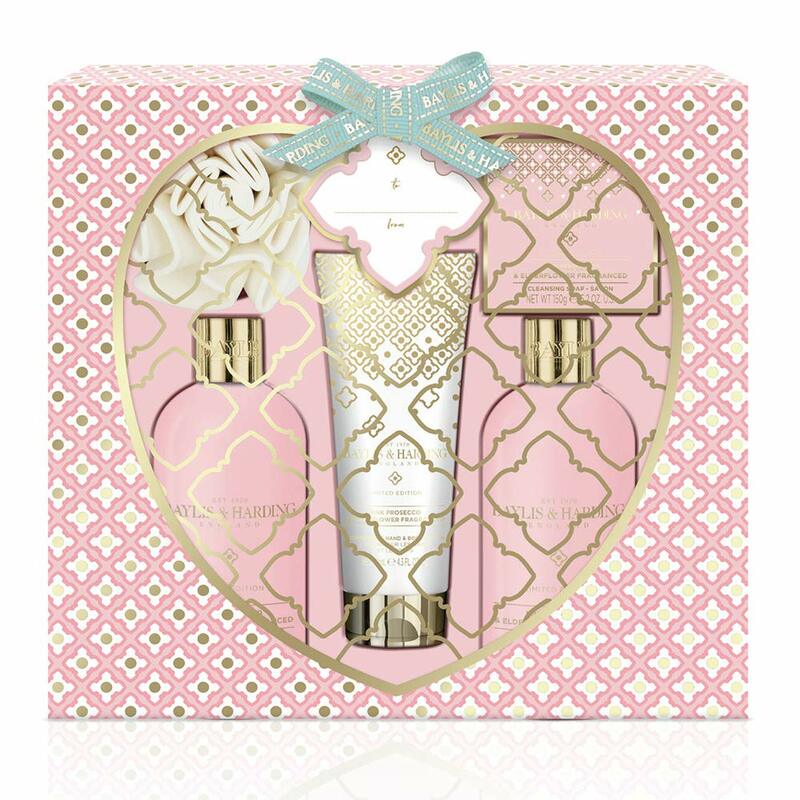 You can click over to Baylis & Harding's Amazon page to see more. We received samples for the purpose of this post. All thoughts and opinions are our own. This post contains affiliate links which work at no cost to my readers at all, however they do help with the running costs of my blog.